By Kevin Behan. New World Library. $23.95. Upon finishing this thought-provoking, crisp part biography/part canis familiaris profile, I am now looking at my German shepherd Andy a bit differently. In fact, it’s kind of scary, since Behan has me thinking that no one really knows me better than my dog. I haven’t reached the point that I’m asking her questions, but the author, who has been in dog business 50-plus years and knows my breed inside out, builds a strong case that our four-legged friends respond to us not for what we say or do, but more because of what we feel. This is not a training manual, rather than a get-acquainted portrait of your dog. It is deeply researched based, hence sit back and digest the contents of each chapter slowly. You may find yourself asking huh more than once and then rereading the previous pages again. In the preface, Behan notes, “What’s fundamental in the emotional dynamic between a dog and owner isn’t the human reading a human in the animal but the animal reading the animal in the human. This “group mind,” as Behan characterizes it, is the heart and soul of his thesis. Consequently, this treatise focuses on what dog and human share in common rather than what makes them different. 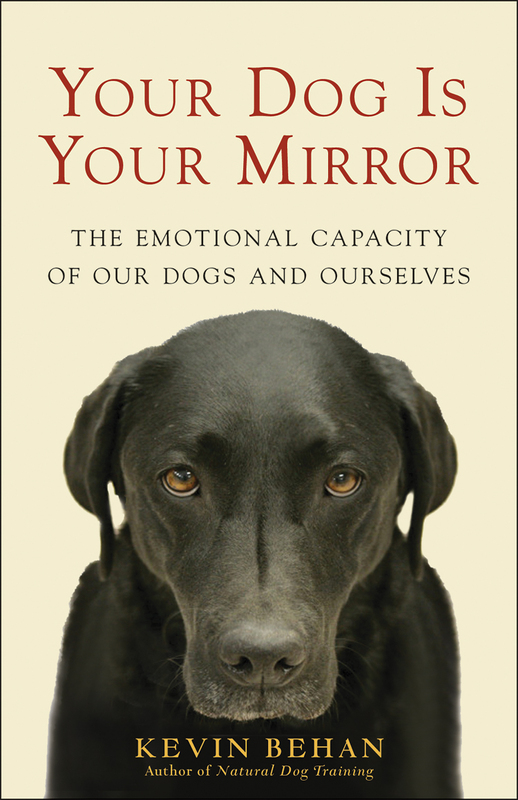 Hence, the two species, he argues intersect at the dog, resulting in the dog becoming man’s emotional mirror (hence the book’s title). All of this hasn’t been easy for Behan, since his father, John Behan, a noted and highly successful 20th century military and public dog trainer, was a firm believer in a training regimen of authority and consistency. Young Behan trained under his father for years, but eventually came to view the “dominance theory as increasingly irrational and something humans have imposed on dogs,” eventually breaking ranks with his father and establishing his own business in the early 1980s. The author began recognizing that what a dog sees on the outside reflects what it feels on the inside, noting that when he asks owners to re-examine why their dogs do what they do, he’s asking them to reconsider their lifetime relationship with emotion and feelings. This perceptive narrative reflects a tough realism and sobering analysis that deserves every dog owner’s attention. What you see in this “Mirror” might be a wakeup call to improving your relationship with that special dog sitting alongside you.